It’s time to get medieval on physics! It’s time to get medieval on physics! 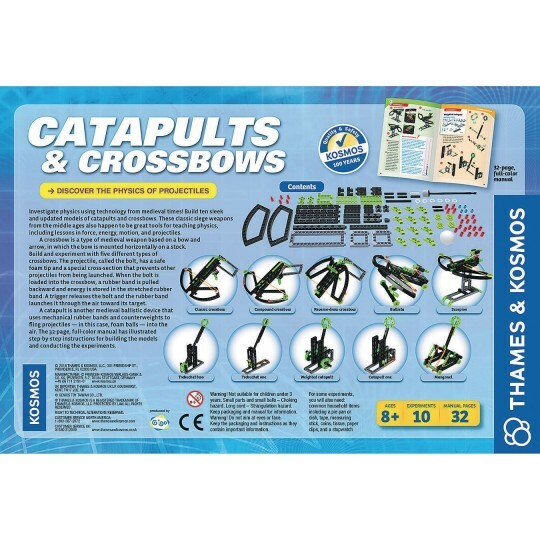 Build ten sleek and updated models of catapults and crossbows. These classic siege weapons from the Middle Ages also happen to be great tools for teaching physics, including lessons in force, energy, motion, and projectiles. A crossbow is a medieval type of weapon based on a bow and arrow, in which the bow is mounted horizontally on a stock. 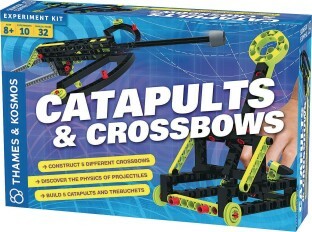 Build and experiment with five different types of crossbows. The projectile, called the bolt, has a safe foam tip and a special cross-section that prevents other projectiles from being launched. When the bolt is loaded into the crossbow, a rubber band is pulled backward and energy is stored in the stretched rubber band. A trigger releases the bolt and the rubber band launches it through the air toward its target. 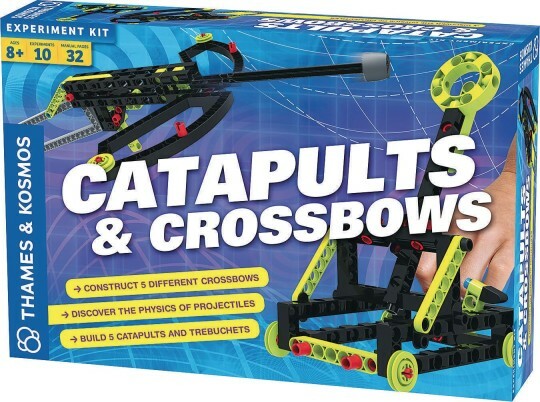 A catapult is another medieval ballistic device that uses mechanical rubber bands and counterweights to fling projectiles into the air. The 32-page, full-color manual has illustrated step-by-step instructions.